Still working on my thank you cards! 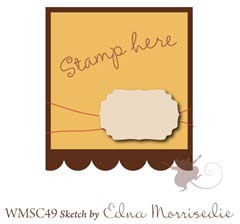 And I'm playing along with the new Waltzingmouse Sketch Challenge (#49)! This card was a challenge for 2 reasons. First off, I did an A2-sized card instead of my usual A7. It seems like many stamps, embossing folders, edgers, etc. are made to specifically work with the smaller A2 size than the A7's. Secondly, this is my first time stamping shrink plastic! Yes, shrinky dinks! It turns out they're making all kinds of craft shrink plastic these days. For this project, I used a "matte" version, but I saw some clear and colored versions as well. 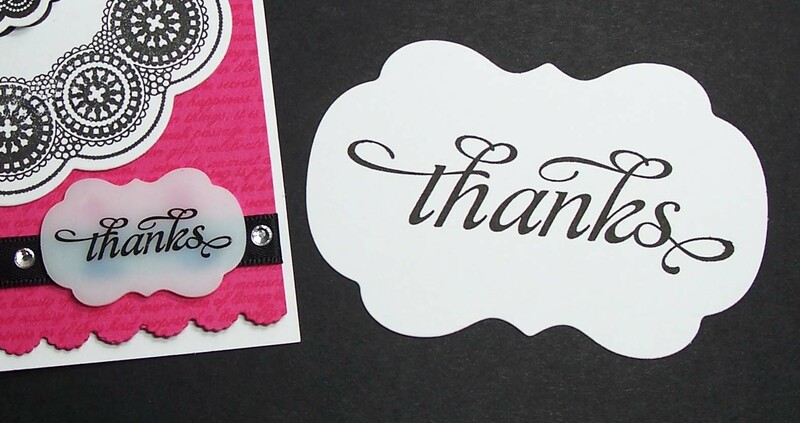 If you look closely at the pics, you can see that I did the medallion in the middle of the doily and the "thanks" cutout in shrink plastic. It took a couple tries (hints: use Stazon ink, cut out the plastic with dies, use ink sparingly to prevent smearing) but it's so much fun shrinking it up! You can use the oven, but I did the heat gun method. For comparison, here's a picture of the original and the shrunken version. The original cutout measures almost 4" across (2nd to the largest Labels 14 die). Looking forward to trying other techniques like copics or colored pencils. Thanks for looking! Absolutely stunning!! I love the bright colour and the shrinkie is perfect! What a striking design in those colors! 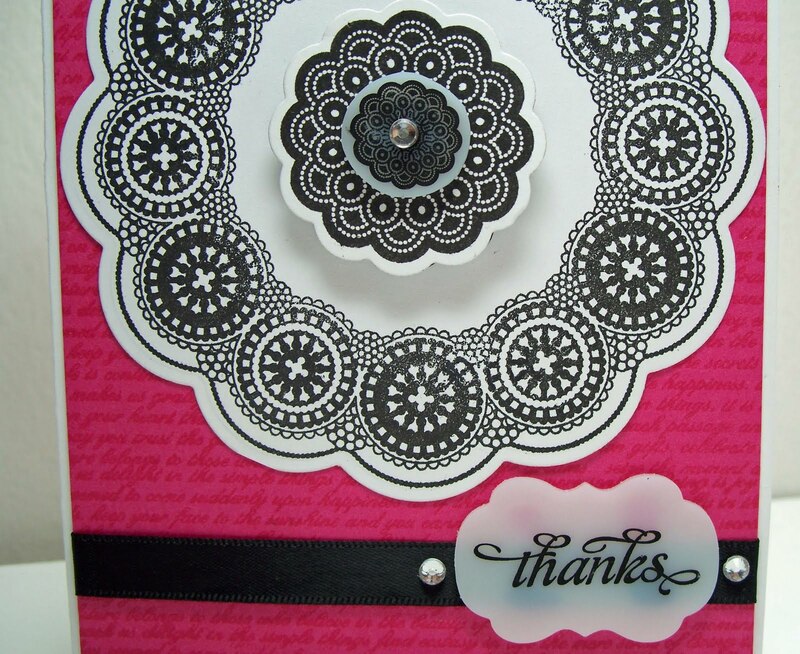 Your doily is perfect and I love the text background in hot pink to set it off! 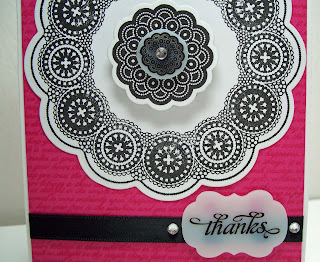 I love the black doily and the bright pink of the card! Great job! !